Coral reefs are some of the most precious habitat in the ocean - which has earned them the nickname "rainforests of the sea." They're a complicated ecosystem where thousands of species are supported by some of the smallest of all - corals. There's an ocean creature that is part animal… part plant… and part stone. They can be as small as two millimeters wide, but enough of them can get together to be seen from space! They're corals… the tiny creatures that make up the huge structures called coral reefs. And though they're small, they're one of the most important animals in the whole ocean ecosystem. To understand why -- let's look at coral reefs. Coral reefs are ancient. They've been in the ocean for almost 500 million years and some reefs started growing fifty million years ago. These incredible structures cover less than one-tenth of one percent of the ocean floor and coral reefs as most people think of them are found mostly in shallow, tropical areas around the world. That limited area is some of the most crucial habitat in the ocean. Reefs support countless fish, as well as sponges, octopi, sea slugs, crabs, eels, turtles, and creatures too numerous to name. 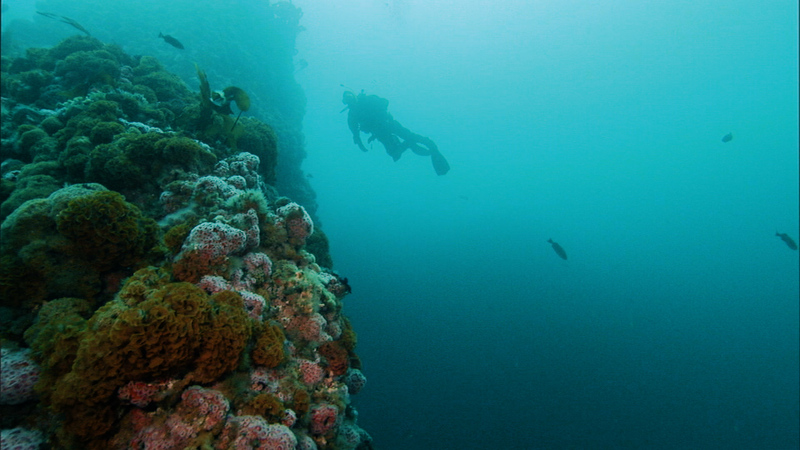 It's thought up to twenty-five percent of marine creatures rely on reefs for their survival. How? Coral reefs form the basis for the food chain of organisms living around that reef or on that reef. Much like the trees and the plants in a forest. They also provide the structure. So if you think about how a tall tree provides places for birds to fly in and grow their nests, corals are doing the same job. They're making holes where fish can swim in and out, lobsters will live underneath corals, eels will live inside of these holes -- they're spectacular, diverse structural communities. But sea creatures aren’t the only ones who need reefs - so do people. Why should you care about coral reefs? Coral reefs are a huge benefit to the global economy, from the people who live alongside them to the people that live in the middle of the country and may never actually see a coral reef. If you eat fish, chances are that fish may have spent some proportion of its life on a coral reef. In fact, 25 percent of all fish that we eat spend some portion of their life on a coral reef. Tourists also come by the millions to snorkel and dive, creating jobs for tour operators, hotel workers, and many others. If you go visit a coral reef, you want them to be there if you go diving or snorkeling or fishing in the area. If you live alongside of a coral reef, you want them there because they protect your coastline, your community and your livelihood from big storm events like hurricanes and typhoons and tsunamis. But the whole reef structure is in incredible danger. It all depends on the fragile corals, so let’s unlock the mystery of how they can be animal, vegetable, and mineral all at once, and how that might affect their survival. Reef-building corals cannot tolerate water temperatures below 64° Fahrenheit (18° Celsius). Many grow optimally in water temperatures between 73° and 84° Fahrenheit (23°–29°Celsius), but some can tolerate temperatures as high as 104° Fahrenheit (40° Celsius) for short periods. Most reef-building corals also require very saline (salty) water ranging from 32 to 42 parts per thousand.